October 1st.-From midnight 30th September until 5.30 a.m. 1st October enemy shelling was slight, as was also machine-gun fire. At zero hour (6 a.m.) our artillery opened on the initial barrage line for six minutes, during which time the two front companies (C and D) moved out into "worm" formation, as close up to the barrage as possible, so as to be ready to go forward at 6.6 a.m. The barrage then lifted, and C and D Companies advanced with A and B in support. They at once came under very heavy machine-gun fire from four distinct points, and many casualties resulted. Our own shells falling short also caused casualties. The companies advanced 400-500 yards, when, owing to the extent of front to be occupied, to the losses sustained, and to the fact that the left flank of the 3rd Division (co-operating on our right) had not got forward, our leading companies lost direction, with the result that the Regiment covered only half its allotted frontage. About this time the support companies reinforced the front line, and the whole pushed forward to the line of the railway about G.8.d.50, where they captured 3 German machine guns with their teams, and several other prisoners. Further advance became impossible, as the enemy machine-gun nests immediately opened very heavy fire on any movement. The senior officers present (Captain Eagle, D Com­pany, and Lieut. Cowell, C Company) ordered their men to dig in. The situation remained unchanged throughout the day until 6.30 p.m., when an attack was made by the 24th R.F. and 2nd H.L.I. which surprised the enemy, who was evidently expecting to be attacked from another direction. The attack was successful, and the Regiment became support battalion. Communication all day was very difficult, all ground over which orderlies had to move being in full view, so that they had to crawl for very long distances. Captain J. Blagrove, Lieut. A. H. B. Brooks, 2nd Lieut. H. A. L B. Stokes, and 125 other ranks wounded; and 1 man wounded and missing. October 2nd.-Remained in support. Slight shelling of the railway at Flat Foot Farm. October 3rd.-Relieved about 7.30 p.m. by the 17th R.F. October 4th/5th.—Heavy shelling restricted training. October 6th.- During the night the enemy shelled Noyelles; one shell, striking Regimental H.Q., killed one man and wounded two others. October 7th.-Two men wounded by shell-fire. 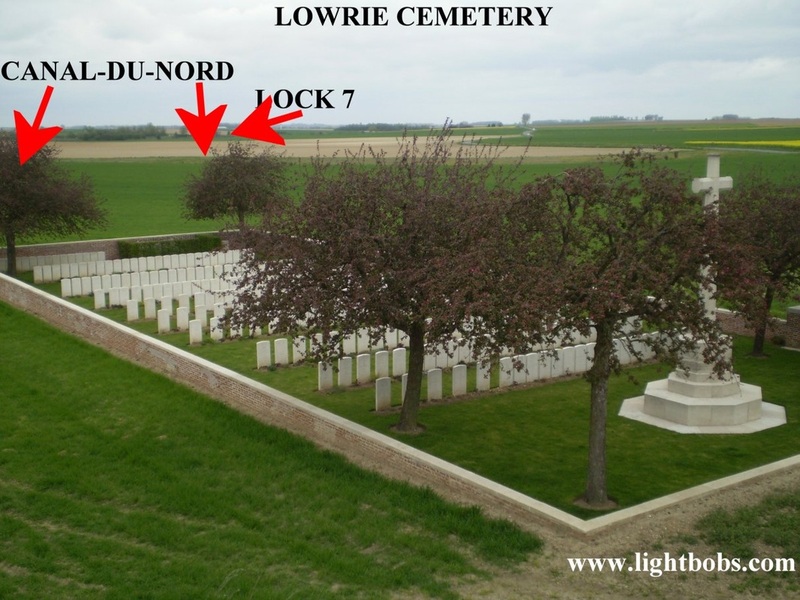 October 9th.-Moved back to west of Canal du Nord, arriving about 10.30a.m., to occupy trench and shelter accommodation. Billeted in cellars and rooms in sufficiently undamaged houses. October 15th.-"Winter hours" came into force. October 16th-18th.-Lewis-gun and Rifle-grenadier classes of instruction, Company training, and football matches. October 19th.- The Regiment marched to Carnieres in the afternoon; very good billets, though dirty. Received orders to be at two hours' notice from 7 a.m. tomorrow, and be prepared to move to St. Hilaire, in view of the advance of the Third Army on Le Quesnoy being con­tinued. October 20th.-Marched to St. Hilaire via Boussieres. Perpetual blocks, rain, and a bad road made the march extremely tedious. The billets were shelled by a high velocity gun, but there were no casualties. 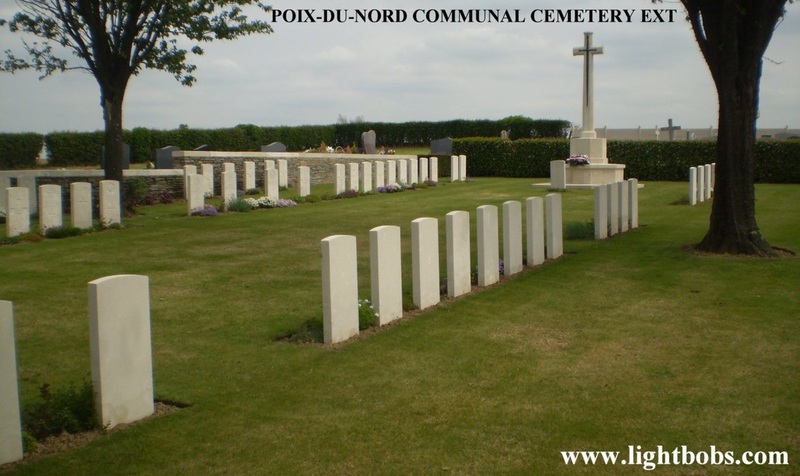 The 105th reinforcement (100 other ranks) and the casuals joined about 7.30 p.m.
October 22nd.-Orders for the resumption of the offensive having been received yesterday, the Regiment marched at 4.30 p.m. via St. Vaast to St. Python, which was shelled at frequent intervals. During the night the enemy put H.E. and gas shells into the area occupied by the Regiment, especially the sunken road (V.30.b. and d.) occupied by D Company, who sustained some casualties. October 23rd.-The rain of the last few days made movement across country very difficult. Operations began at 3.30a.m. The 2nd H.L.I. and 24th R.F. assaulted and carried the 1st objective (Red Line) by 7.30 a.m. Then the Regiment and the 2nd H.L.I. were ordered to capture the 2nd objective (Green Line), which was effected, after considerable resistance, by 10.30 a.m., many prisoners and machine guns having been taken. At 12.30p.m. Regimental H.Q. 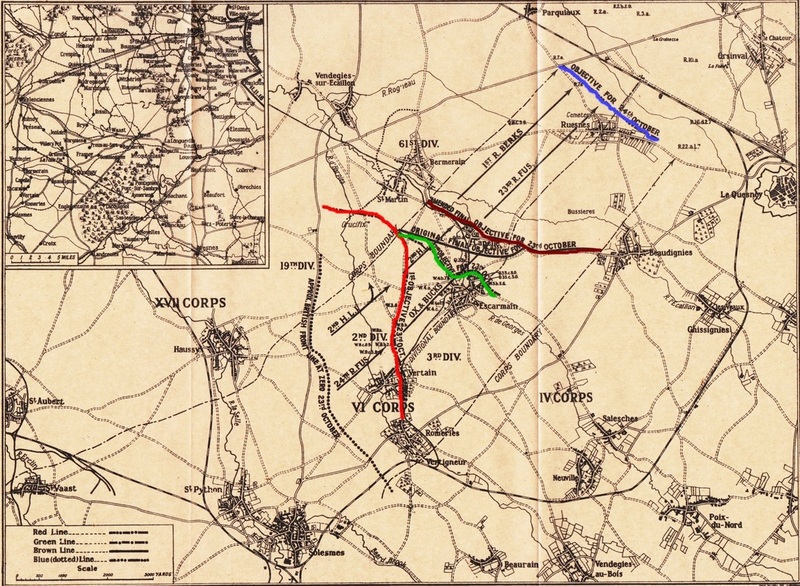 moved to Escarmain, and com­panies were ordered to push on to the attack of the 3rd objective (Brown Line). A message timed 3.45p.m. from the O.C. C Company reported that he had captured the Brown Line, withmany prisoners, but that on attempting a further advance the whole line had come under heavy machine-gun fire from the high ground across the Escaillon River. Helped by two platoons of D, C Company there­fore consolidated in front of the Brown Line. B Company took Capelle Village, with many prisoners, machine guns, and 4 trench mortars, consolidating along the hedge on the N.E. edge of the village. A Company (reserve) withdrew slightly, its first position being under enemy observation. the 23rd R.F. relieving the Regiment, when com­panies moved back independently to billets in Vertain. Relief complete by 11 p.m. Casualties in the day's fighting : 8 men killed, Captain E. J. Anderson, M.C.. and 36 wounded, 15 gassed. October 24th.-In the afternoon moved to St. Python, arriving at 5.20 p.m.; roads much congested with traffic. October 25th.-The Rev. E. H. Gallop, C.F., was transferred to a casualty clearing station for duty, and the Rev. E. M. Guilford, M.C., C.F., returned to the Regiment. October 28th.-St. Python. Training, reorganization, and football. October 29th.- The Regiment marched via Vertain and Escarmain : B and C Companies to billets at Bermerain, the remainder to Ruesnes; all relieving companies of the 1st Gordon Highlanders. October 30th.-During the night and early morning the enemy shelled Ruesnes with gas and H.E. shells. One man killed and one wounded. October 31st.- Increase of officers during October, 20; decrease, 8; reinforcements, 196 other ranks. Battle casualties : 43 killed; 168 wounded; 1 wounded and missing: 9 died of wounds; 15 gassed. map from the History of the Second Division 1914-1918. The Battle of Selle. 34 officers and men of the 52nd who died on 1st October 1918 are buried in the Anneux British Cemetery. 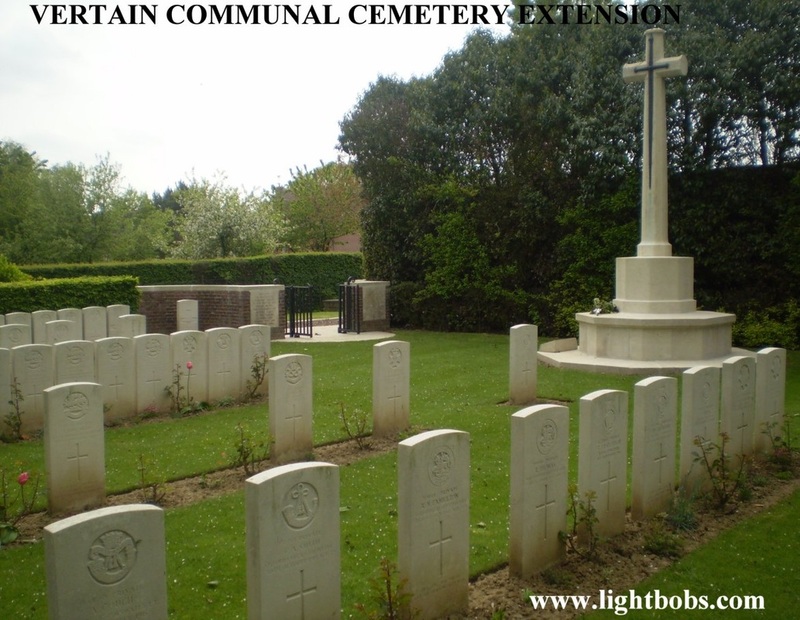 Pte Willett of the 52nd who died on 23rd October 1918 is buried in the Capelle-Beaudignies Road Cemetery. 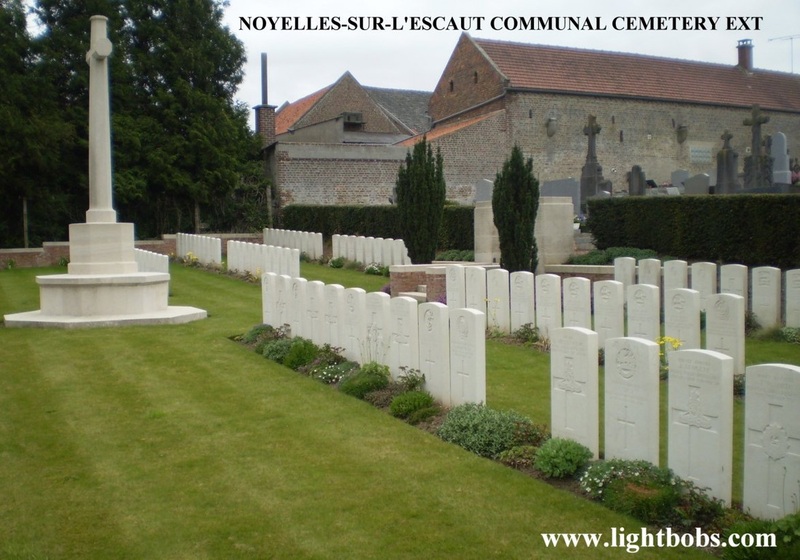 Sjt Tollett of the 52nd who died on 23rd October 1918 is buried in the Carnieres Communal Cemetery Extension. 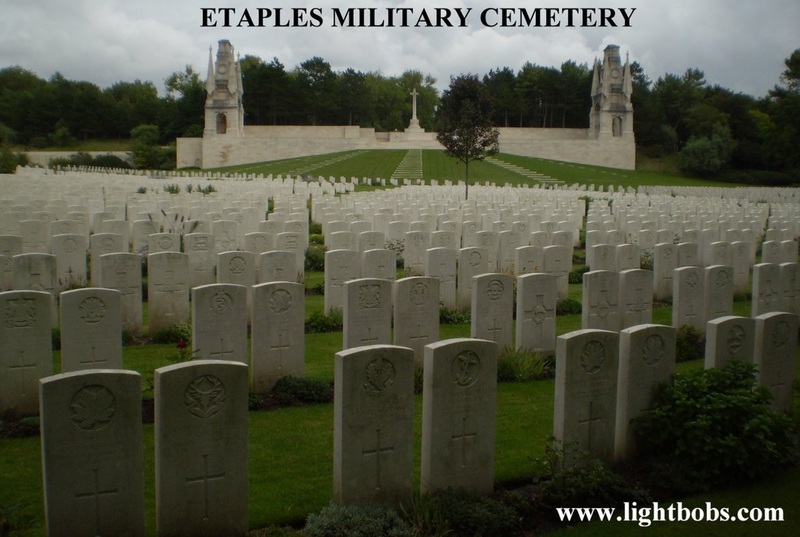 Pte Tucker of the 52nd who died on 23rd October 1918 is buried in the Etaples Military Cemetery. 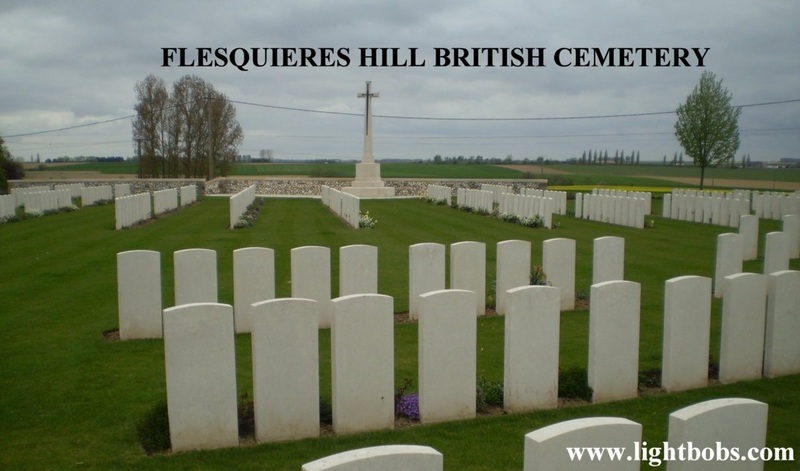 Pte Wilson of the 52nd who died on the 8th October 1918 is buried in the Flesquires Hill British Cemetery. 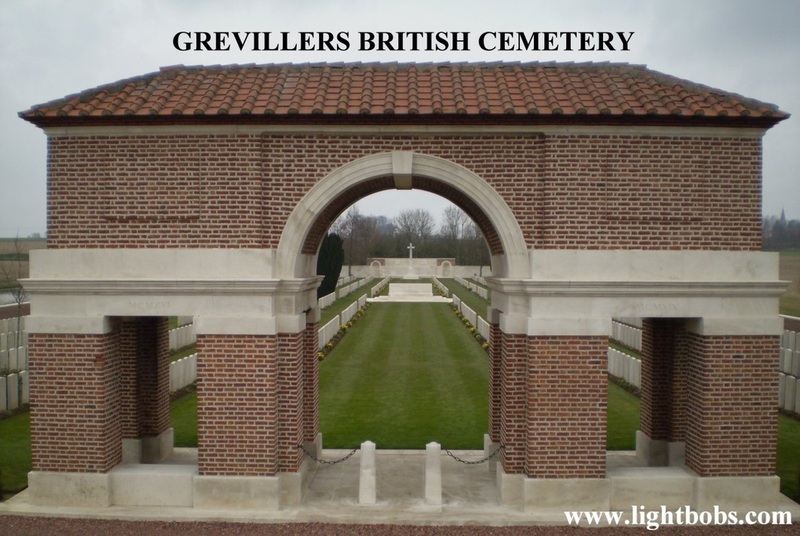 6 men of the 52nd who died between 2nd & 25th October 1918 are buried in the Grevillers British Cemetery. 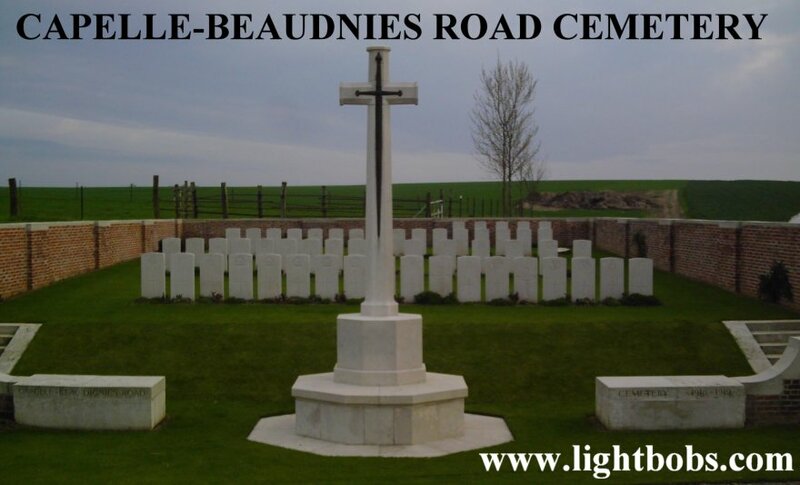 Pte Beesley of the 52nd who died on the 25th October 1918 is buried in the Lowrie Cemetery. Pte Bull who died on the 5th October 1918 and Pte Green who died on the 18th October 1918 ate buried in the Mont Huon Military Cemetery. Pte Allman of the 52nd who died on the 8th October 1918 is buried in the Noyelles-Sur-L'Escaut Communal Cemetery. Ptes Hopkins, Jenkins & Knight of the 52nd who died on 23rd October 1918 are buried in the Poix-Du-Nord Communal Cemetery Extension. 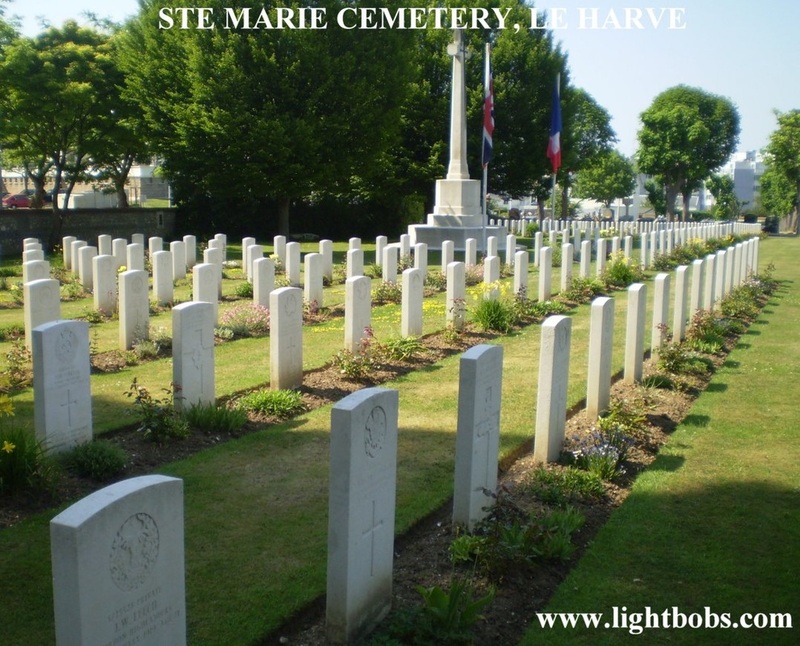 Pte Crockford of the 52nd who died on 23rd October 1918 is buried in the Ste marie cemetery, Le Harve. 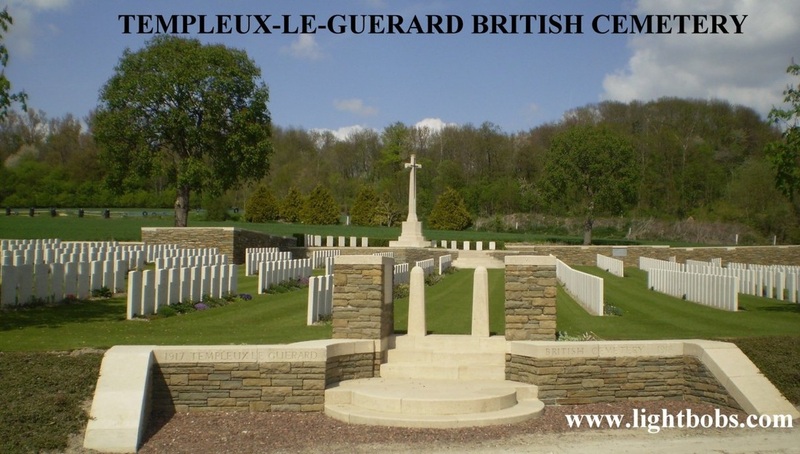 Pte Purkins of the 52nd who died on 4th October 1918 is buried in the Templeux-Le-Guerard British Cemetery. 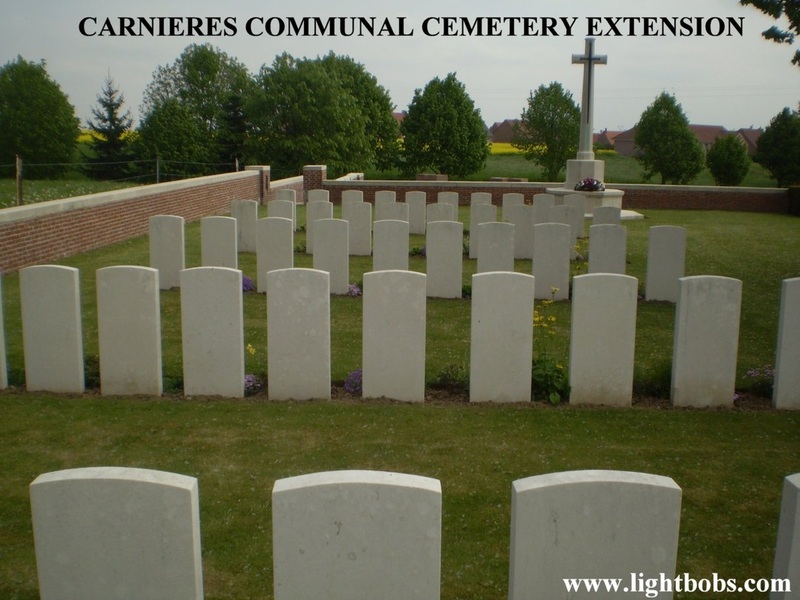 Ptes Butcher, Westall & Wixey who died on the 23rd October 1918 and Pte Smith who died on 30th October 1918 all of the 52nd are buried in the Vertain Communal Cemetery Extension.